A country's future is closely linked to its economy and finances. A nation also has an enduring and vital asset in its arts and culture. Monuments, embodying the essence of history, are often the foundation of a country's cultural landscape. The monument of the Control Yuan, standing in the heart Taipei, is a picture of tranquility and solemn elegance amidst the bustle of the city. It is photographed by both passers and also serves as a backdrop for wedding photos. 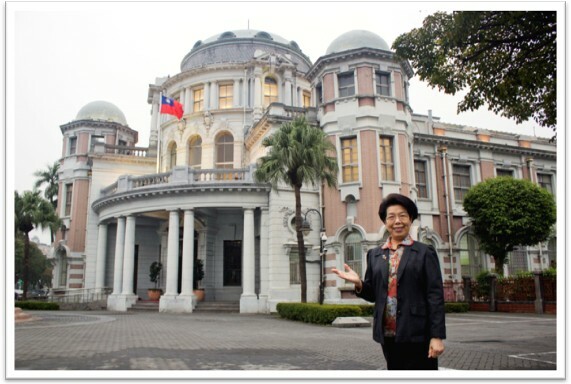 The building born as the "Taipei County Hall" of the Japanese colonial government and assumed its current role as the offices of the Control Yuan in 1958. 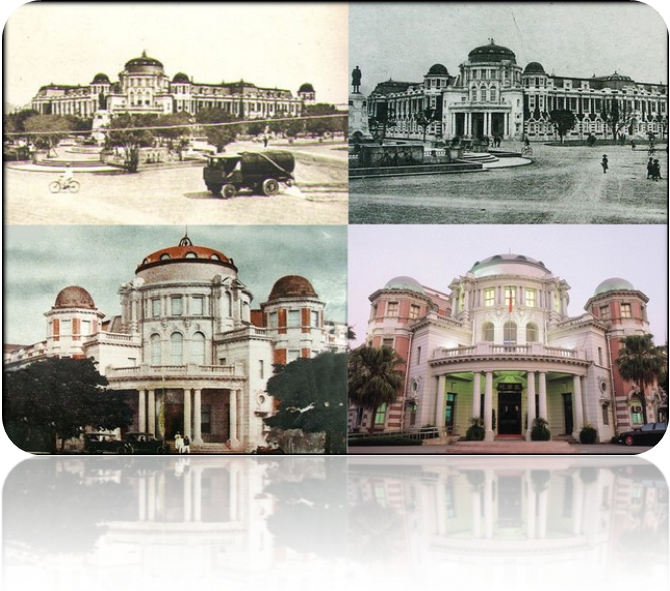 Designed by Japanese architect Moriyama Matsunosuke, the Control Yuan building is a post-renaissance structure (built from 1913 to April 24, 1915) infused with a Baroque elegance and majestic bearing. Since I took office in 2014, we have turned on the lights at night to share with the people the beauty of the Tuscan cylinder and Byzantine roof, which together exude a sense of harmony in their solidity and classic beauty. This year coincides with the centennial birthday of this national monument. 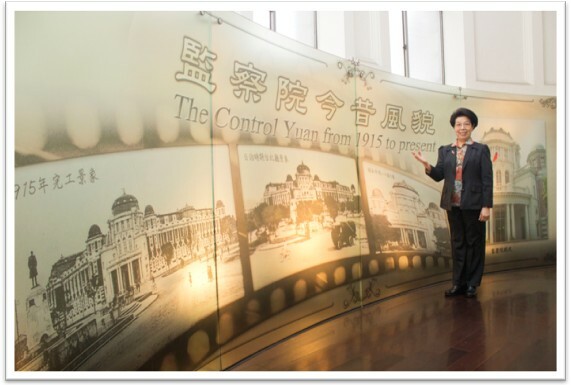 The Control Yuan will be open to visitors from April 24 to May 31 during office hours. People can enjoy the 18 high-ceilinged long columns and view the Pantheon-like dome ceiling at the entrance. We can imagine how this grand building inspired the powerful calligraphy of Yu Youren, the first post-constitution President of the Control Yuan. It was also within these walls that Tao Baichuan as well as other members of the Control Yuan impeached Premier Yu Hung-Chun, investigated the Lei Chen case, vindicated General Sun Li-jen and sought justice in numerable other cases without fear or threats from the authority. As this building turns one hundred, the paragon of imperial censors will continue to enrich the culture of the ombudsman. I sincerely hope that members of the Control Yuan will continue to courageously withstand any power, rise above bipartisan ideology, devote their efforts to public service, and add new pages to the honorable history embodied by the Control Yuan. The public sector has long been deeply connected with people's life. It would not be necessary to nominate imperial censors if the government deeply cares for its people. However, at present there are more than 170 ombudsman offices in the world. It is necessary to include governance mechanisms and balance of power arrangements in the design structure of the government, which usually results in strengthening the ability of public sector to meet the people's needs. People used to perceive the Control Yuan as a cold government office. 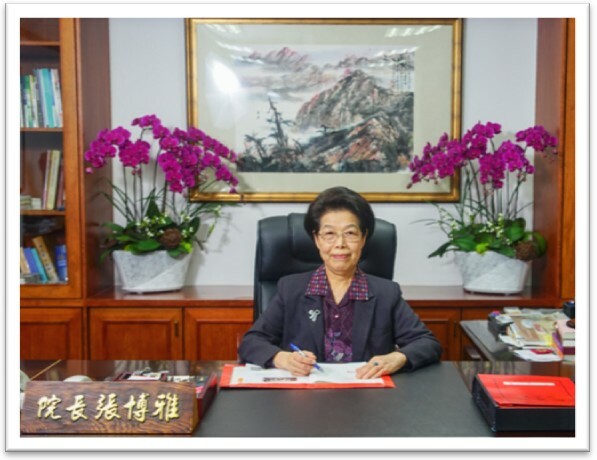 Nevertheless, I have been noticing that members of the Control Yuan and professional administrative staff deal with more than 10,000 complaints each year, and redress many of mishandled cases for the public. In the current environment, people submitting complaints to the members of the Control Yuan are far more convenient than the pouring out of grievances in ancient times. I therefore see the Control Yuan more as a guardian of the people's rights and symbol of justice than as a traditional bureaucratic organization. The Control Yuan investigates many types of cases that contribute not only to sound finance and clean government, but also reduce unnecessary expenditures of taxpayer money, amounting to more than billions or even tens of billions of NT dollars each year, thanks to corrective measures and demanded improvements. Such measures prevent the public sector from wasting money and lay a solid foundation for long-term national development. Each country has a unique history. The supervision functions of their ombudsmen have also varied over time. Yet the core values of the censor have remained firm: Fair, Just, Upright and Unthreatenable. In addition to continuing these values, the Control Yuan strengthens the concept of humanism in the execution of its functions. It also continues to serve the people, address their grievances, and protecting their rights. Finally, the Control Yuan is dedicated to forming a closer relationship with the public and its eternal duty of enhancing honest politics. Po-Ya Chang MD; MPH; Dr.MSc. 中華民國監察院 版權所有 Copyright © All Rights Reserved.